Anyone has ever done ice fishing before? We all nodded in a big no. 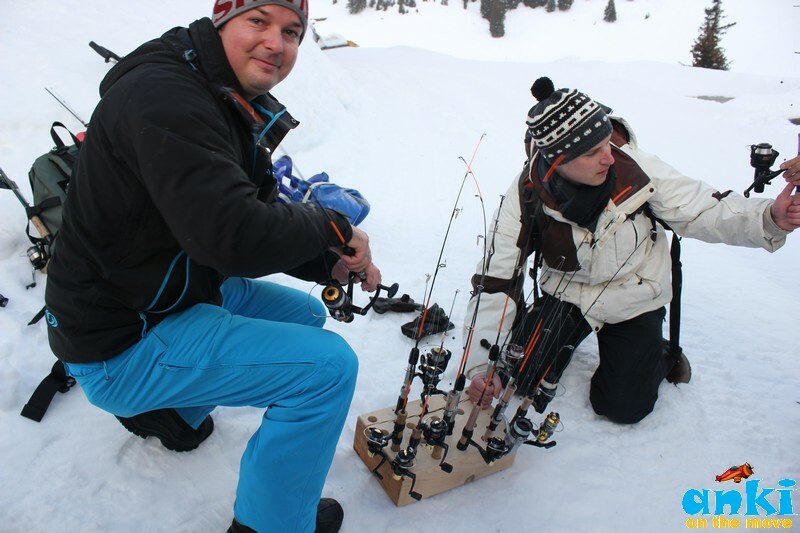 So, What is Ice fishing and Why do we do ice fishing? Because its something special and the guests want to have something special and want to tell stories and telling stories is very beautiful when you come to nature. Sometimes you catch, sometimes you don’t. Sometimes you catch a big fish, sometimes a tiny one! Thats whats special. 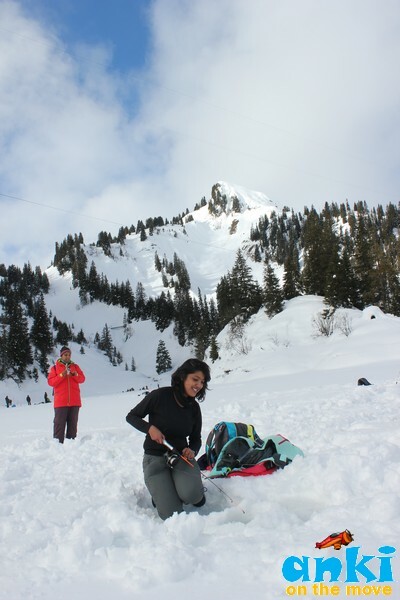 Fishing in mountains is a surreal experience indeed, although it oozes a lot of patience from your end. 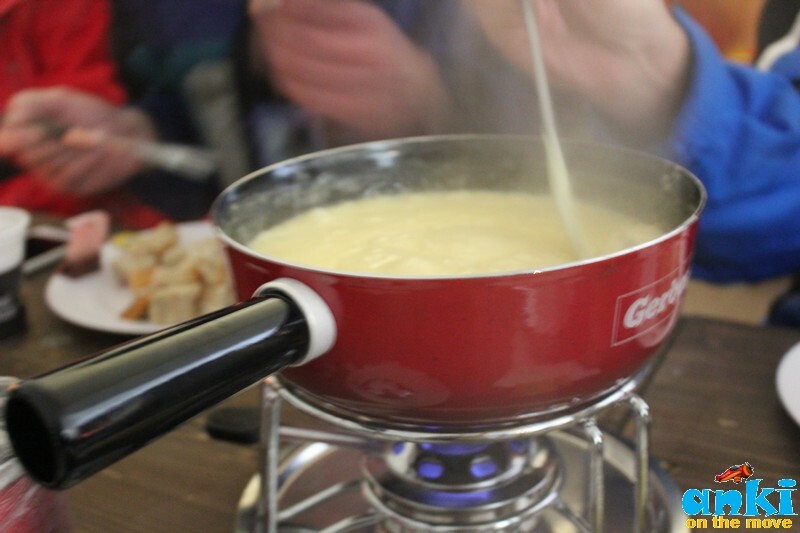 A lady preparing Fondue for us in the Igloo Village, the Igloo had its own kitchen. 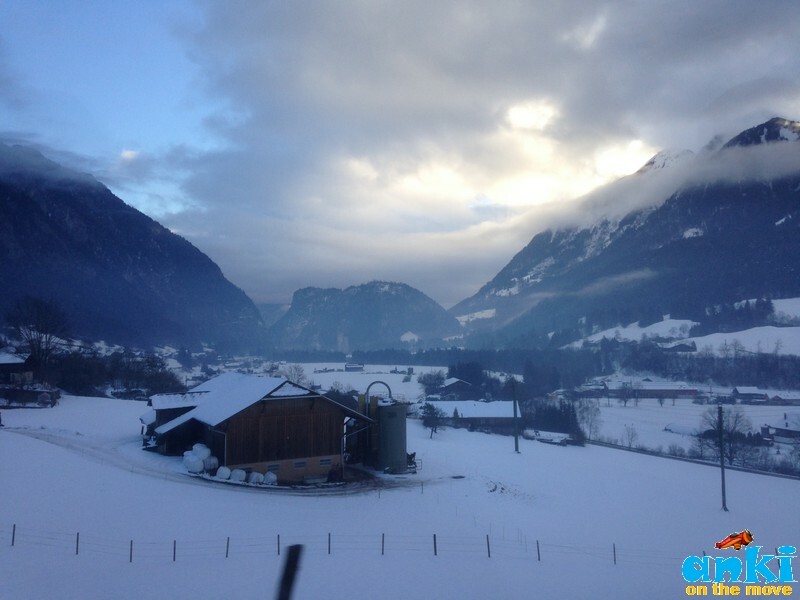 We had left Interlaken in the morning on a road trip to Stockhorn or Stockhornbarn AG, passing through the lake of Thun, bern. 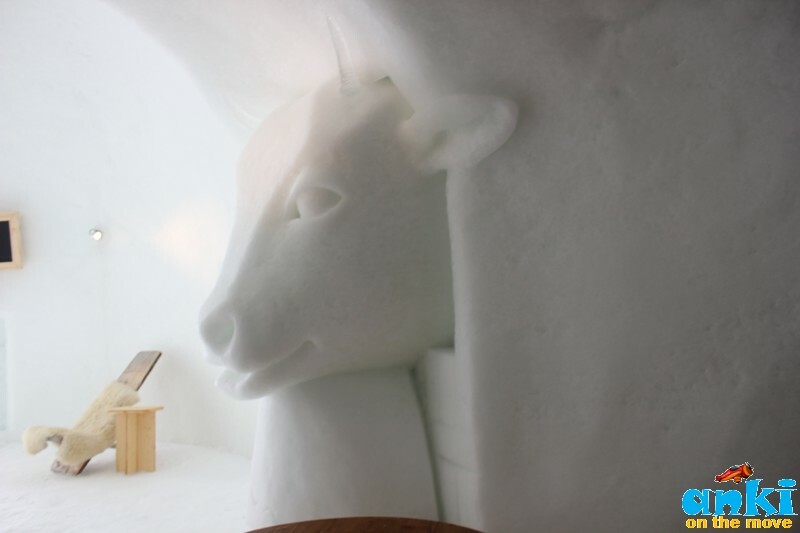 We also passed through Simmental which is famous because of the nearby village Gstaad, a small village which is a celebrity quiet hideout for famous celebrities such as Liz Taylor and Richard Burton for their vacation. 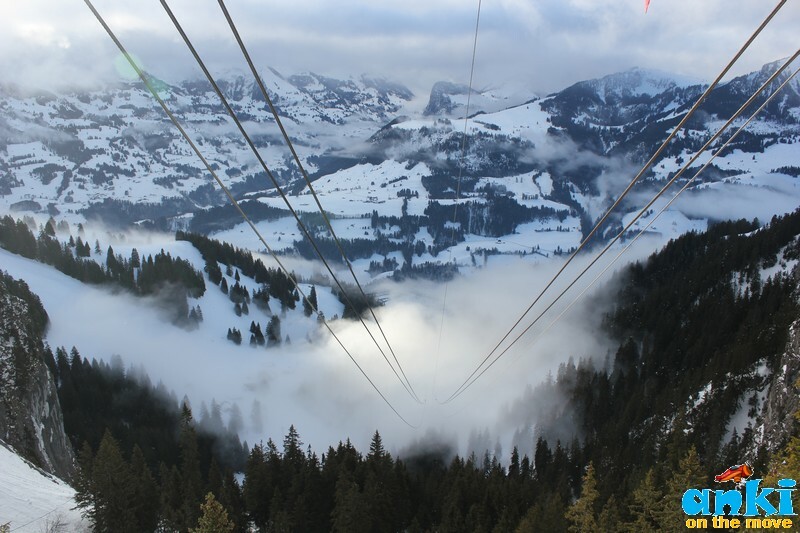 Gstaad is 2 hours from Interlaken and Stockhorn is 45 minutes. 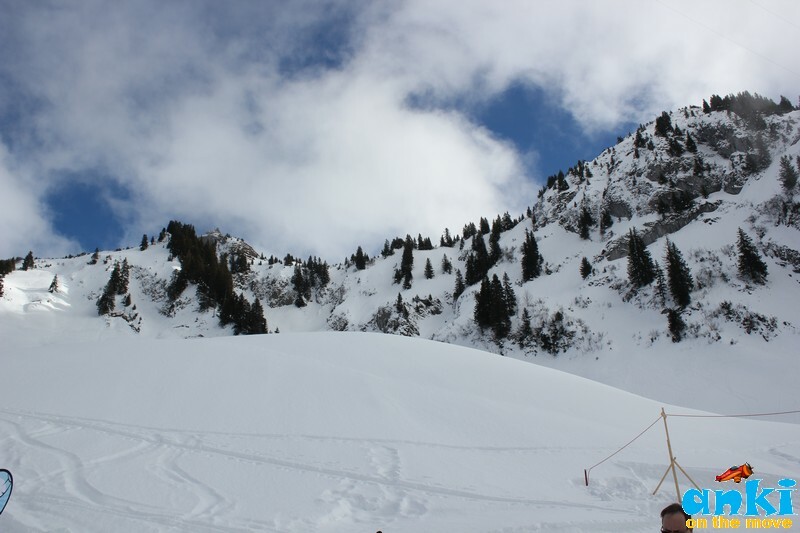 Gstaad would come after Stockhorn if you drive further up. 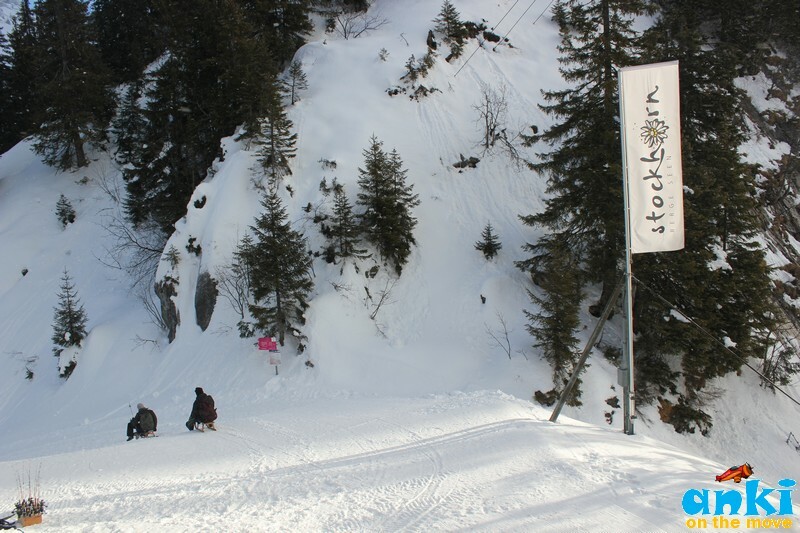 The nearest stop to Stockhorn is Erlenbach. If you don’t have a taxi you can reach here by train. Its different from other regions. 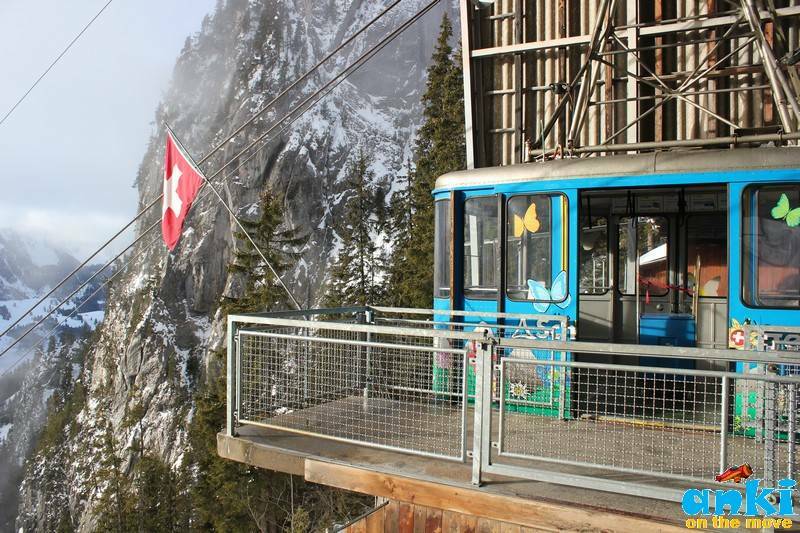 Whereas Jungfrau is where infrastructure is modern here everything is kept old and virgin. There are very cute old decorated wooden chalets here. 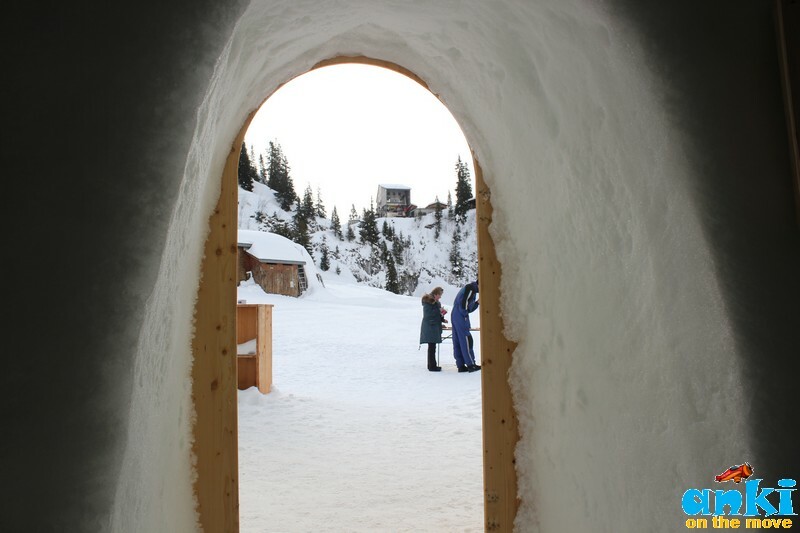 Typical chalets have stone as foundation and then the 1st and the 2nd and sometimes even the 3rd floor is build in wood. 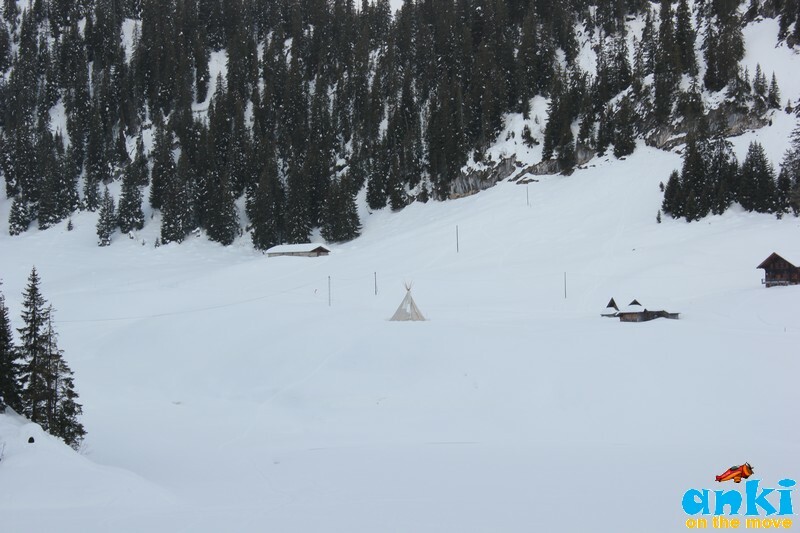 You would see different shades of grey on the chalets. The weather side that takes in wind and rain would be grey and the side which receives plenty of sun would be darker and wood gets dark in sun. There are old houses and smaller hotels as you go further. 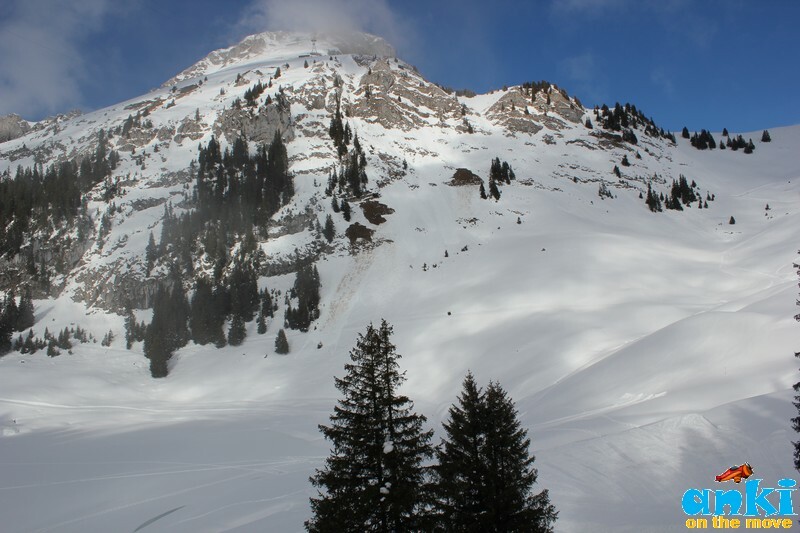 On our way to Stockhorn. 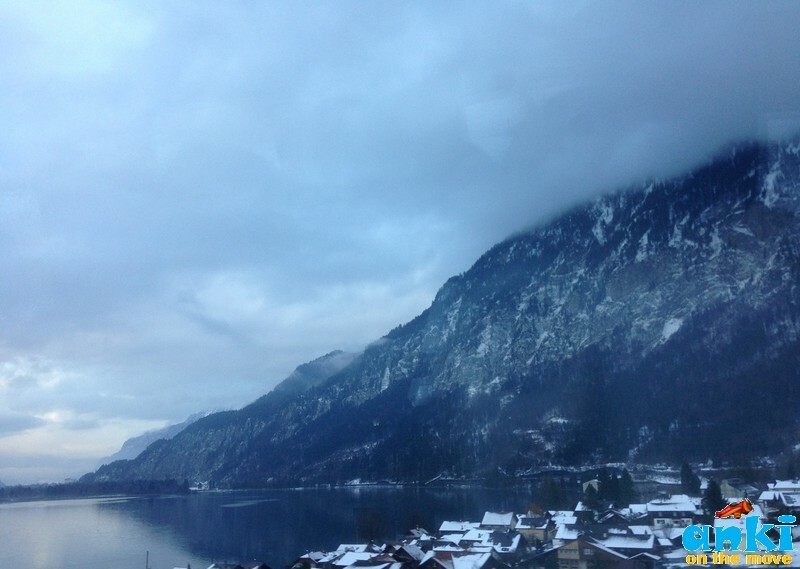 You would also arrive to french part of Switzerland over the small mountain passes - a nice trip on train / car. 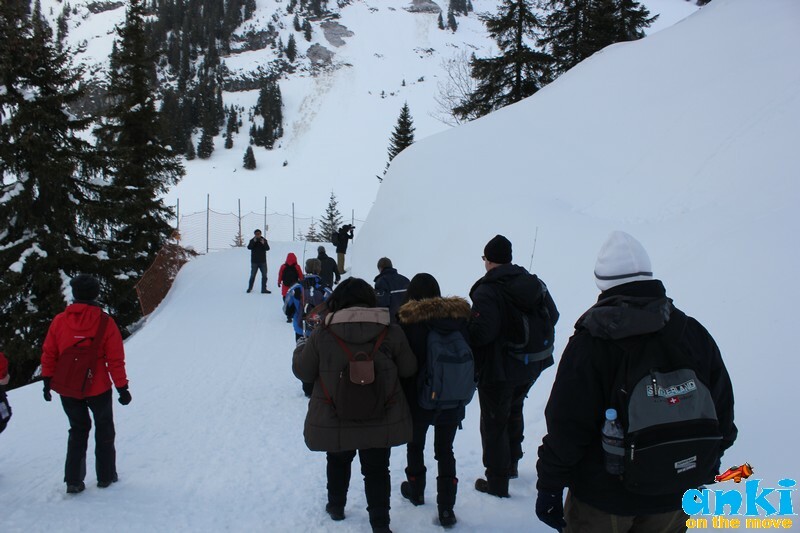 Meanwhile we took an old cable car at Chrindi, and we met the ice fishing guys who gave us equipment and told us a few important things about Ice Fishing and we were greeted with: pietri hell ‘I hope you will catch some fish’. 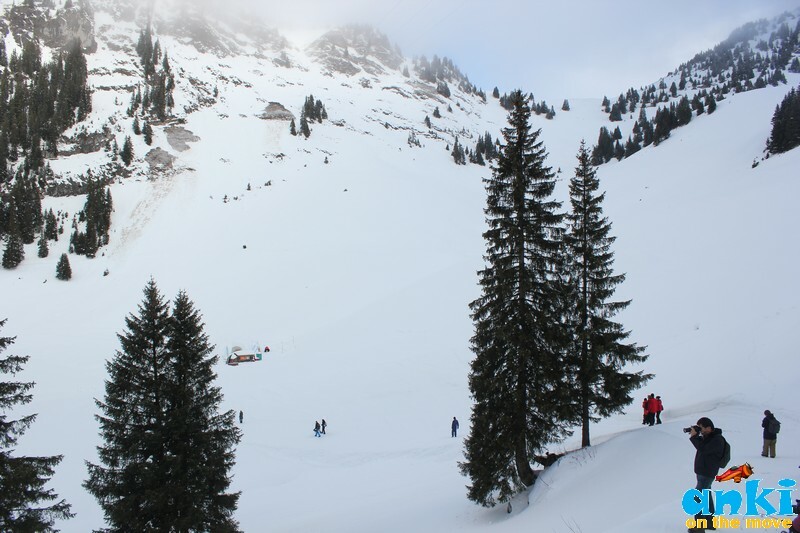 Two experienced skiers and sky boarders loved Ice Fishing and they were there with us to guide us today in Stockhorn during winters. 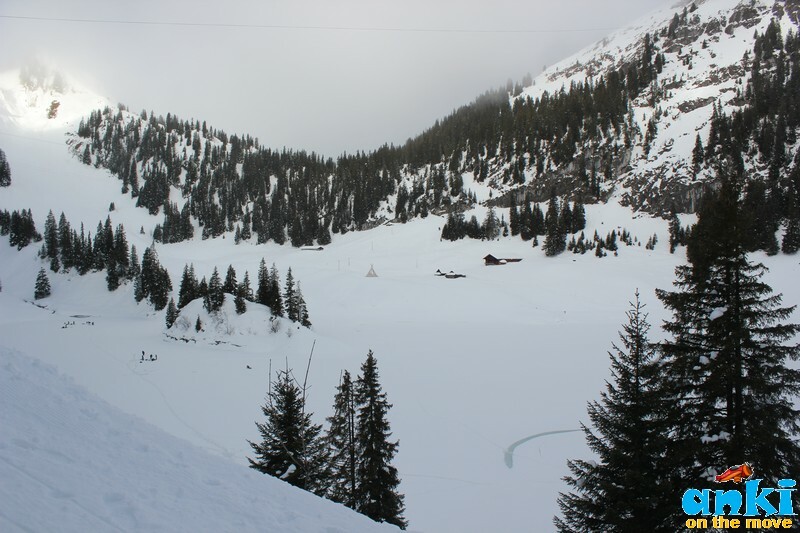 The Hinterstocken lake freezes normally during Christmas and the ice stays till April. The ice was 25 sms , so above 8 cm anything is safe. You can even take your car in ice, is what he said. So its absolutely not dangerous. Since it was raining and snowing prior, we had our ice shoes because it could get slippery in ice. We were on a 200 metres lake hoping to catch some Rainbow trouts! So, we got a question in our heads, that doesn’t fish get disturbed if we play music or talk or do we have to keep quiet. He said, no the fishes won’t be disturbed, we’ll drill and make a hole in the ice. Also the hole need not to be refilled once we are done, because it gets frozen immediately within 10 minutes. The fishes which are caught are cut in their heads. Anyone any idea, why the heads are cut first? We even joked with them, that since we are all amateurs, to make us happy, have they put up the fish already so that we can catch them? They laughed back. Fishing also happens during summers. It’s high season for fishing and lot of fishermen / anglers come here and there are plenty of fishes. Sometimes they even put the fishes inside the hole. We got our ice-fishing equipment as well as first instructions. We took a short walk to the frozen Hinterstocken Lake(approx 15 minutes) and did Ice Fishing. 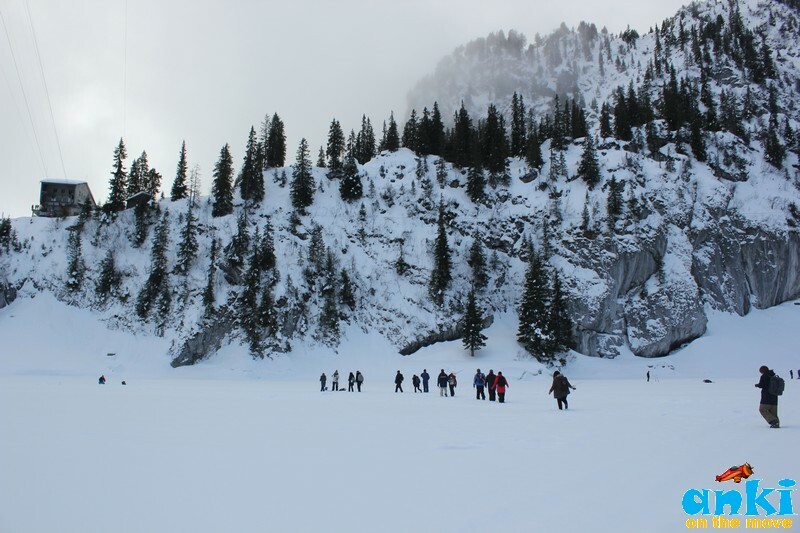 We were in completely snowed out lake. There was no way, we could have estimated it out by ourselves whether it was a lake or a plain valley had we been here alone and by ourselves. Now honestly, this is by far the most patient thing I have ever done. 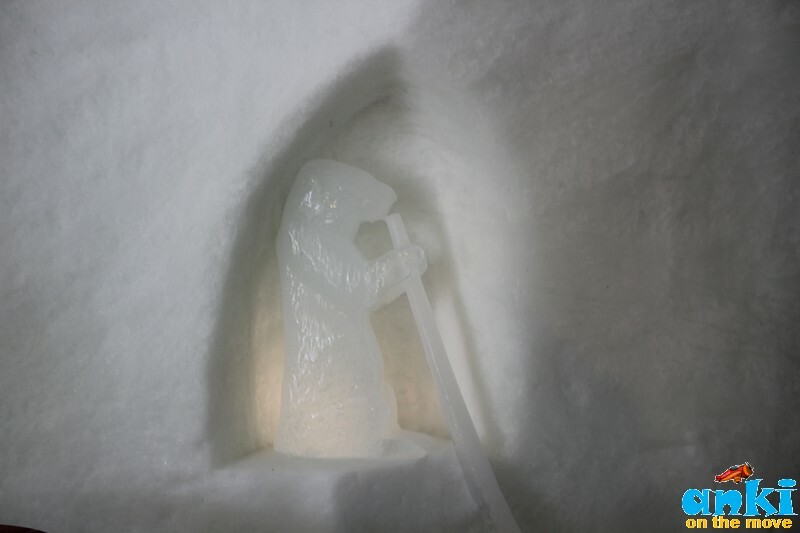 The part that included drilling and taking all the ice out and making a clear hole was indeed a very new experience (You will see that in my next vlog) . 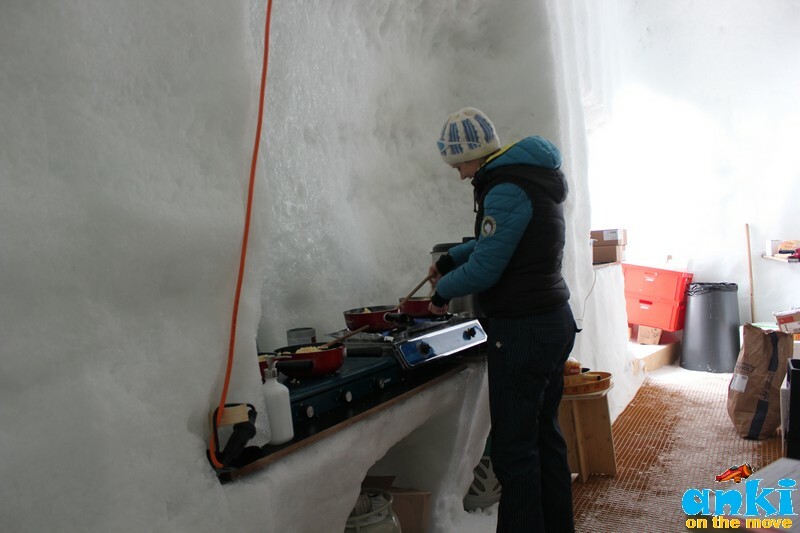 You feel really excited to do it yourself as each of us where doing it on our own locations a distance from each other after we were shown once by our instructor, it takes a bit of an effort in ice to drill in. Once the water would splash out, and the drill goes smoothly in with no obstruction, then you put the bait, you have to wait and it feels like meditation because Fishes have their own free will, and they can come when they feel like! And if you are lucky, you get one! 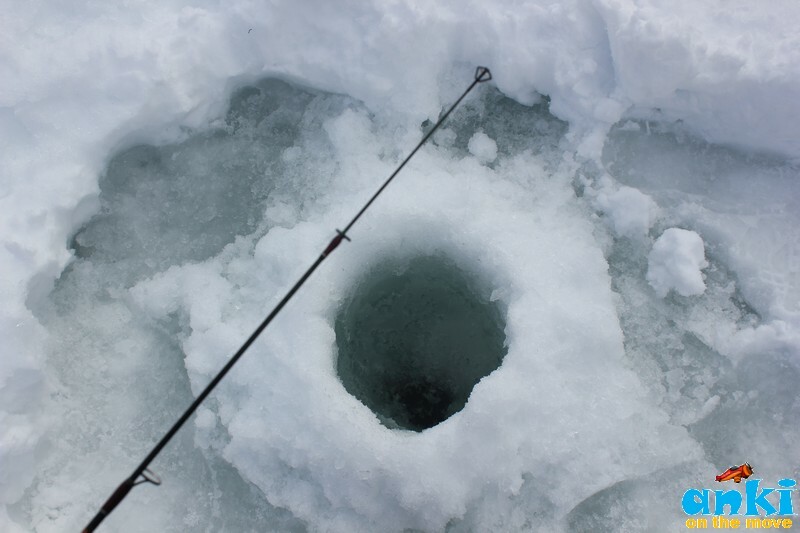 So you can also try your hand at catching fish from the lake through a hole in the ice, like the Inuk! 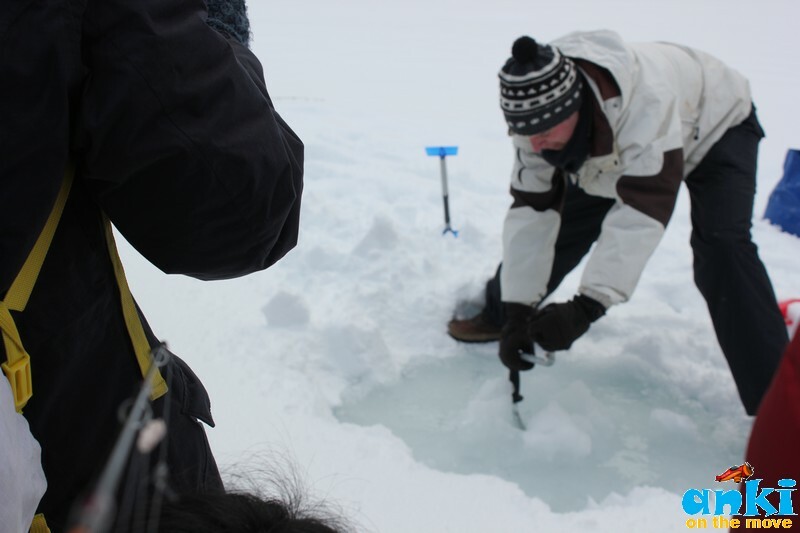 Ice fishing at Stockhorn means drilling a hole into the ice, putting a lure on a hook and waiting for the big catch. No holes should be nearby, i.e there must be distance between two holes. You wouldn’t want your leg to fall into one! Also there are more chances of catching fishes if two holes are separate distance. One of my leg fell into thin ice made by deep impressions of someone’s shoes in snow and the water came out and boy! The frozen water that went in my boots tickled for long. We were many people, and we formed a queue. 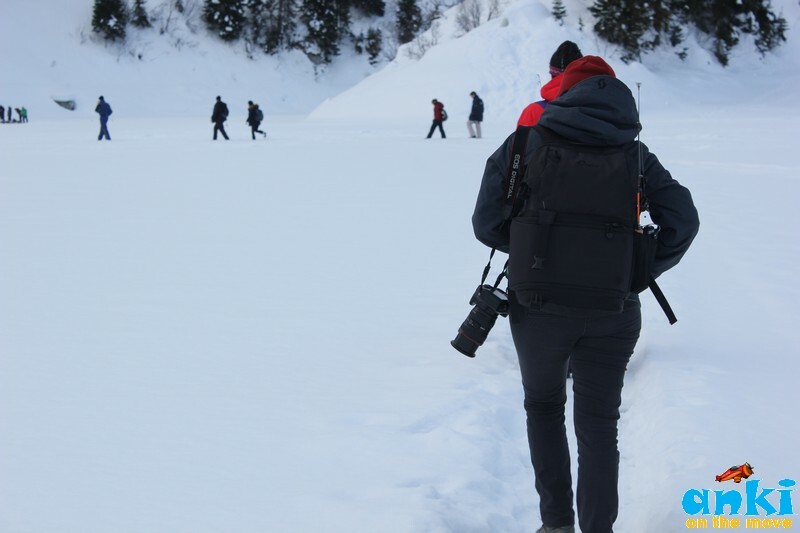 The experienced ice fishing person was ahead of us, because he knew where there was thin snow , where there was thick snow, so we had to walk with him. After all we were walking on a lake with no clue whatsoever. However, its a must do experience in winters. One more reason to arrive in Switzerland during winters. Let's eat cheese and bread. 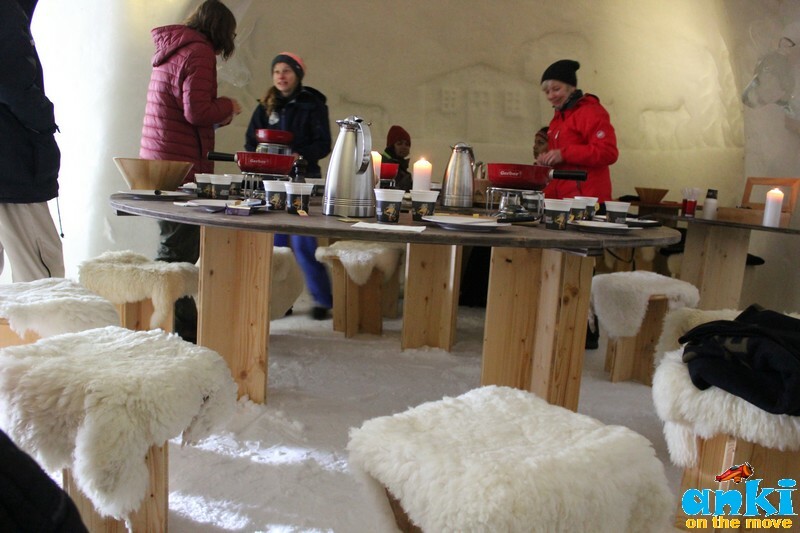 And fondue and Gluhwein in the igloo. We also did Tubing after Fishing, it was super fun! 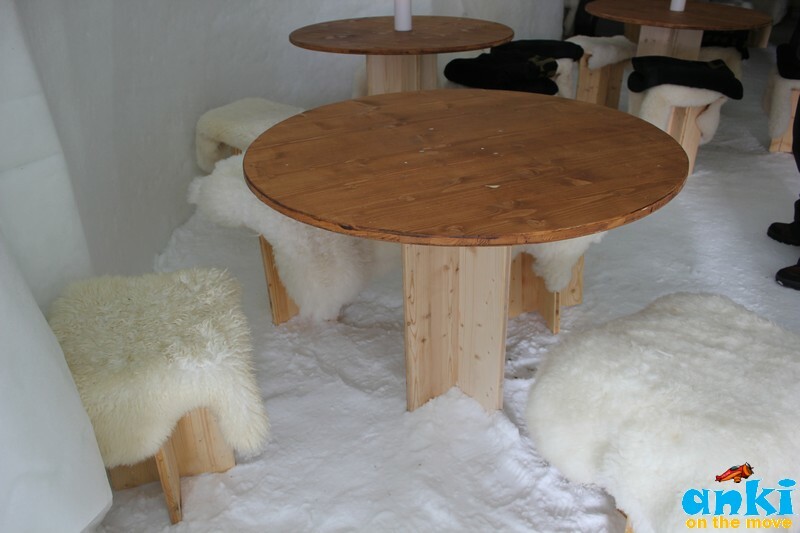 Our furry seats, candles, and hot food! What else do we need. I had always dreamt of Spending some time in a place like this.. Switzerland rocks. 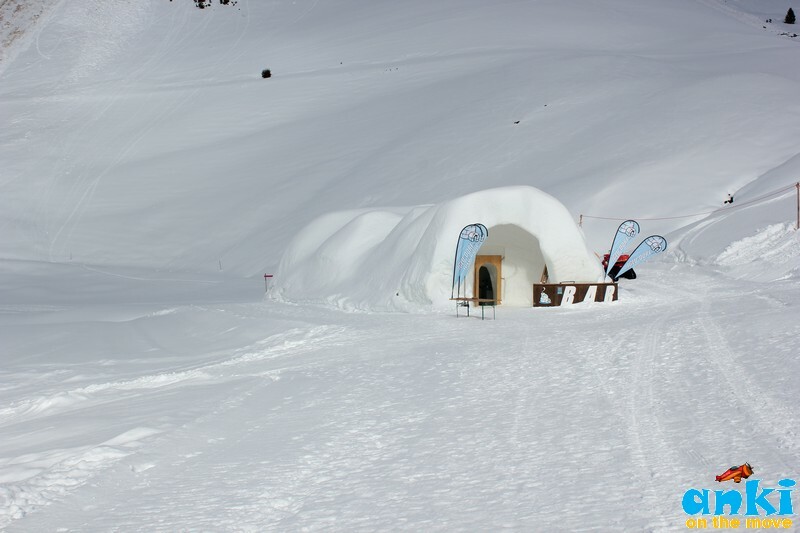 Afterwards, we had lunch made at the Igloo Village. 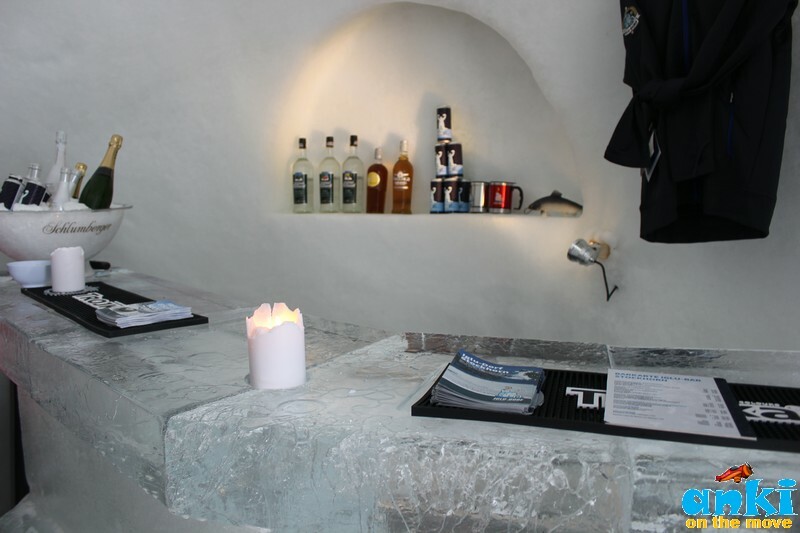 The kitchen is with the igloo and they make it right there. 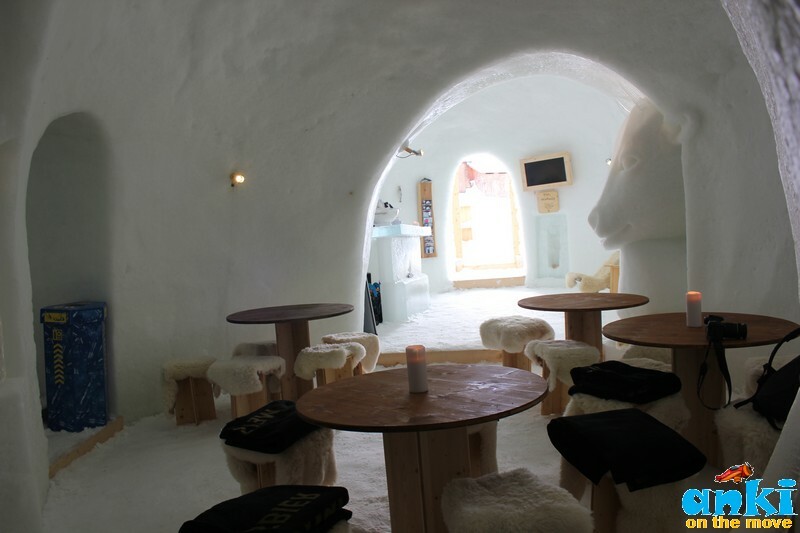 There are furry seats and ice sculptures inside and it feels cosy and like home. 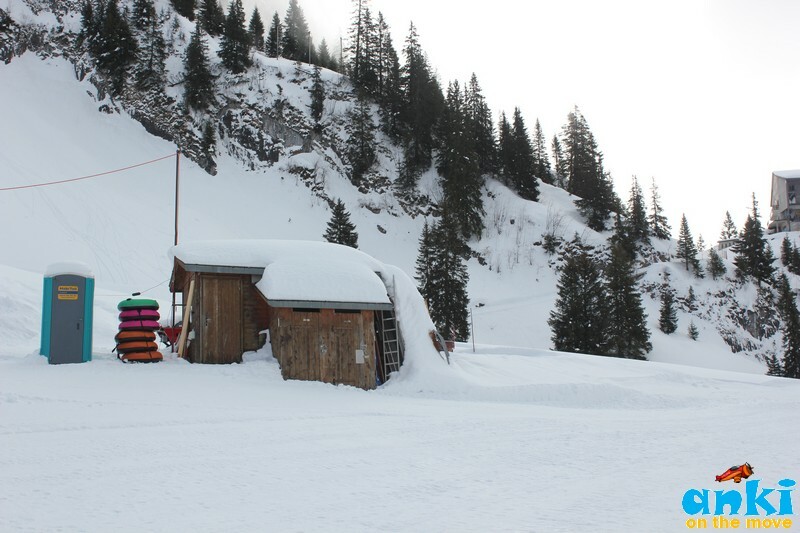 Out of sheer excitement, we also did tubing on snow. 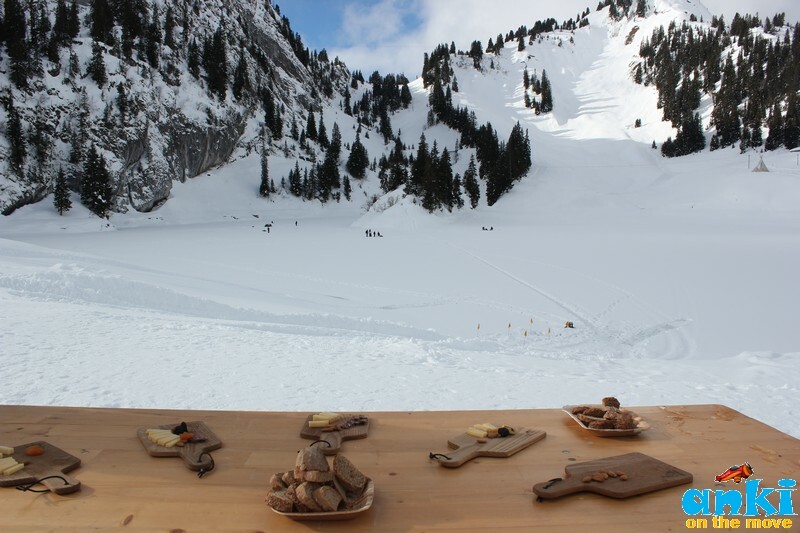 So winters are time, when can have experiences in #Switzerland you could only thought or known to have happen in nordic counties. 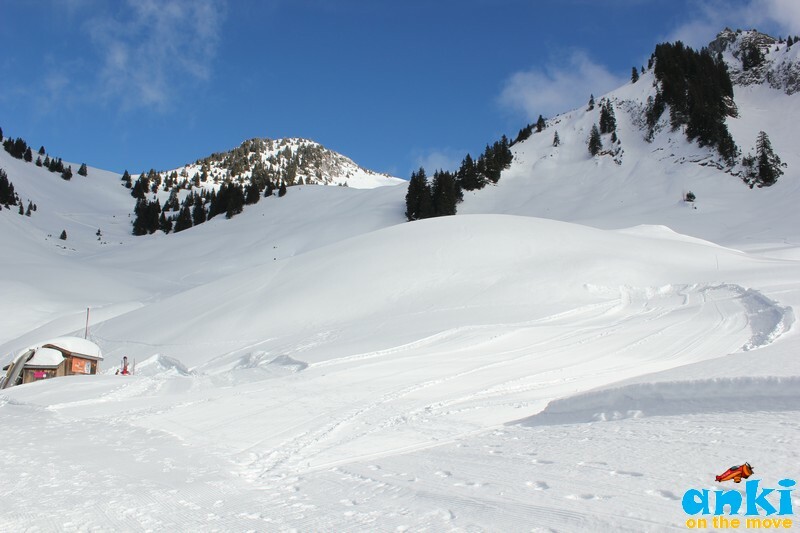 But as long as the snow doesn't melt before Summers, #Switzerland is a must do! 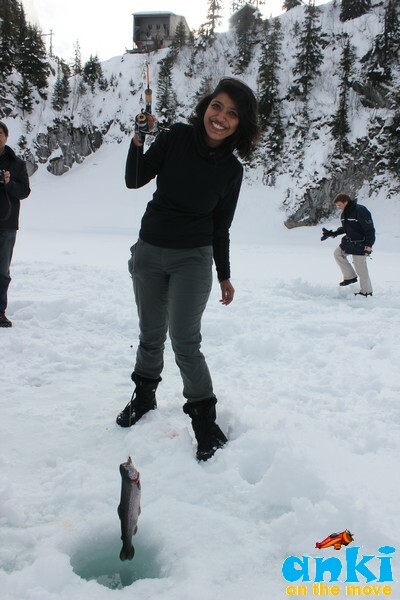 For those who are awaiting my travel video on Ice Fishing or baking, watch my travel video below. Thank you everyone!